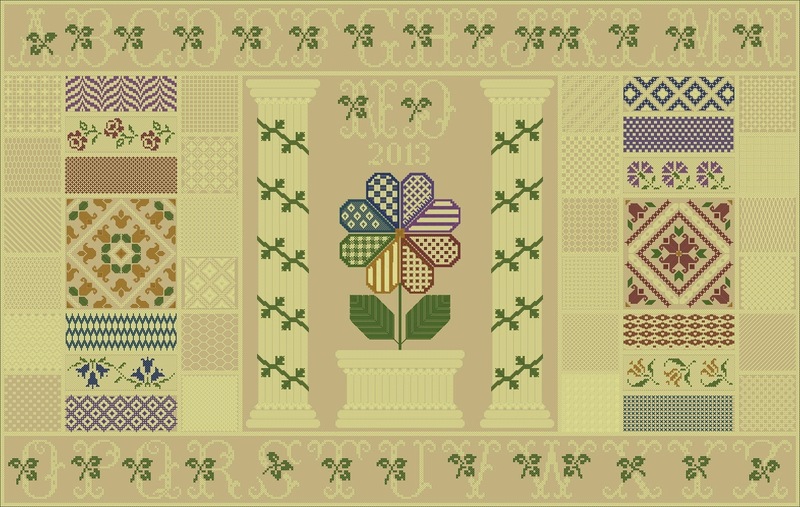 Northern Expressions Needlework: New 12 month Stitch Along, Not Quite Whitework! New 12 month Stitch Along, Not Quite Whitework! Stitches Used : a little bit of everything - but NO Queen Stitches this time. 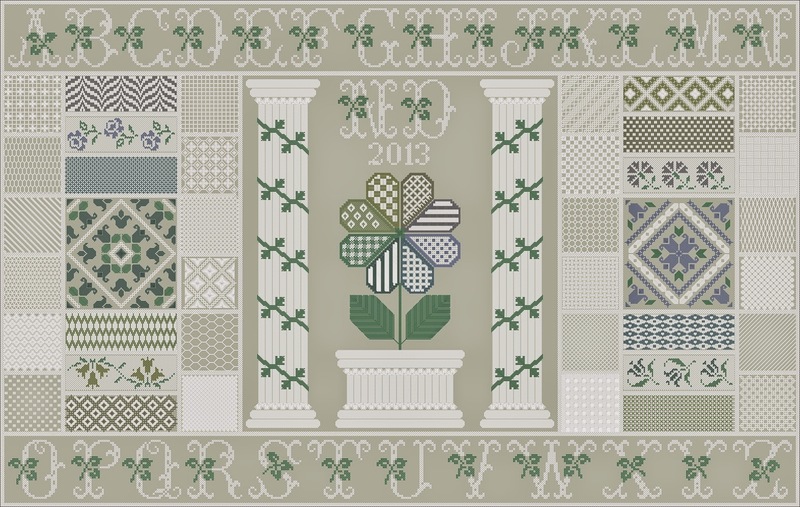 As the name implies, Not Quite Whitework is a twist on traditional whitework samplers. I named it Not Quite Whitework for two reasons, first, because it's not all done white on white, but a combination of white and pastel on a light neutral background. 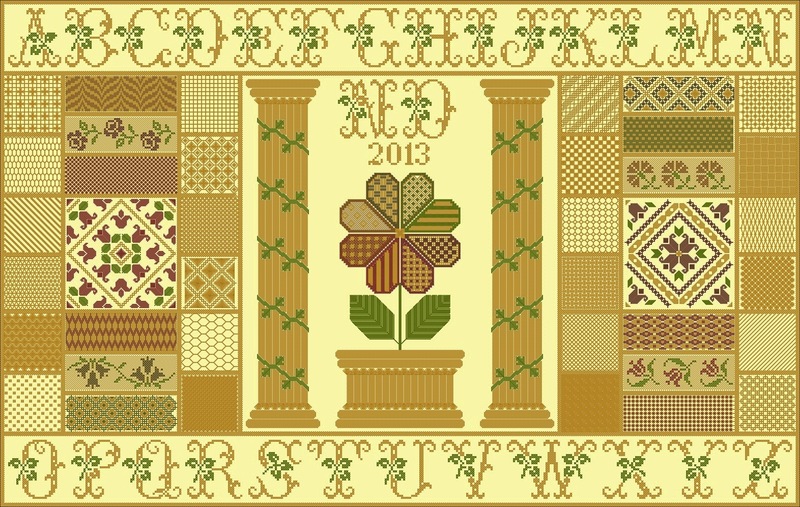 And second because it doesn't include any cutwork, which most traditional whitework has. This is mainly because while I know how to do it, my software is pretty limited and I'm a stickler for good diagrams – I would hate to release a substandard product and there are many designers out there who are much better at explaining cutwork than I am. There is very little cross stitch – just the alphabet and a few small areas of darning patterns. There are textured stitches, patterned stitches and pulled stitches, used as examples of different ways you can fill areas of fabric for other types of projects. As with the Learning Sampler, diagrams will be step by step, so the project is suitable for everyone from beginner to expert. Floss for the model is from Dinky Dyes, and materials packs will be available from European Cross Stitch if you choose to use the same materials I am using for the model. 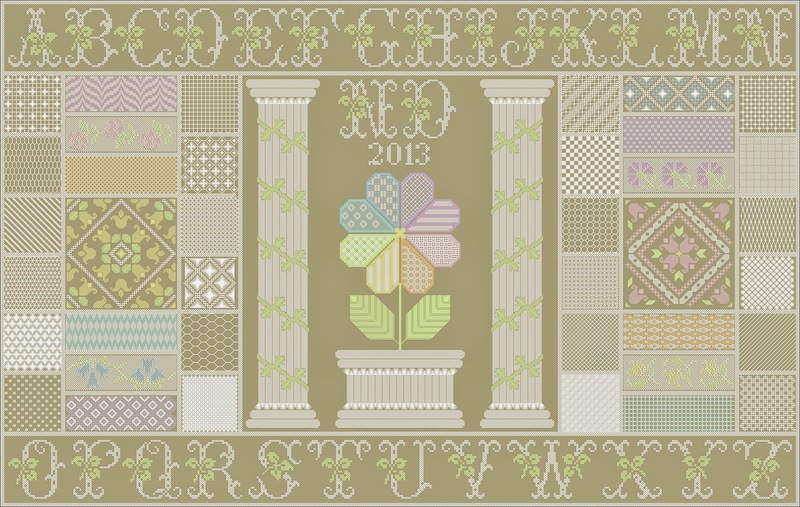 Fabric for the model is from Needleworker's Delight and will also be available from European Cross Stitch. These dimensions are for the design ONLY. You need to add extra to each side for framing/finishing. The model is being stitched on 36ct Zweigart Raw linen, but you can use what you are most comfortable with. It does require linen or evenweave as the design is mostly specialty stitches which are more difficult to do on Aida. As far as colour goes, you'll want a light neutral in a count that you can see the holes clearly on. I'm using 36ct because I like using a single strand (except for the satin stitches which will require 2), but if you prefer something bigger or smaller that works too. This is by no means a perfect conversion. The colours are close, but the DMC is darker overall and solid instead of overdyed. The Dinky Dyes are much softer colours. Usage will be the same for either Dinky Dyes or DMC as the skeins are the same size. Usage on 36-40ct assumes 1 strand for cross stitch and specialty stitches (except satin stitches). On 28-32ct it assumes 2 strands for cross stitch and satin stitches and one strand for the rest of the specialty stitches. The stitch-along is broken down into 12 parts. I will include the full border layout with Part 1, so you can choose to work ahead and stitch the borders first, or stitch them bit by bit as the parts are released. I will be doing the diagrams for each stitch in step by step pieces, so if these are new to you, you should have no trouble following along. Parts will be sent out on the 1st of each month via email. Materials packs will be available in 1-2 weeks - Dinky Dyes is away at Nasvhille Market and will need a few days to recover before they can put them together for ECS. I'm working on part 2 at the moment, and I'm hoping to get a few parts stitched up ahead of the start date. :) I'll update from time to time with my model WIP pictures! Side note - blogger is really beginning to drive me crazy - constantly inserting/removing line breaks and adding huge gaps. It's very annoying. Hi Nicole, I purchased the Not Quite Whitework SAL when you first released it. My question is that I can't find my file of Part 10. Is it possible for you to resend it to me?